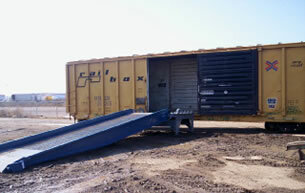 unloading positions at the same time. 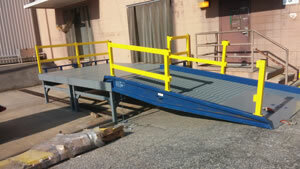 Portable Dock affords 90 degree turnability for safe forklift maneuvering. 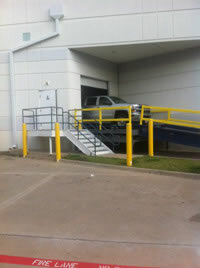 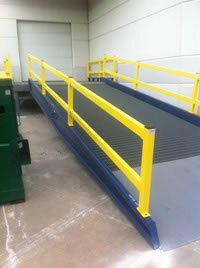 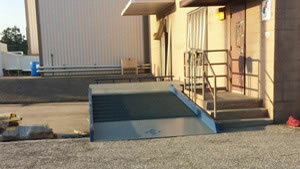 Ramp can serve as a satellite unloading area. 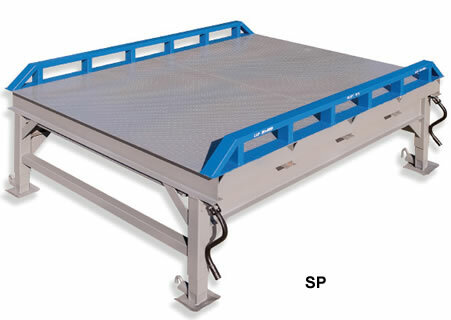 Optional adjustable, telescoping legs of 44"
Platforms, Forklift Platform, and Forklift Platforms from your complete source for material handling equipment.